Haggard's melodrama Colonel Quaritch V.C. combines a romance and treasure hunt with an examination of the difficulties faced by the British squirearchy during the fin de siècle. CQ was serialized in several periodicals including Harper's Weekly (beginning on July 7, 1888), Newcastle Chronicle, Yorkshire Post, and Liverpool Daily Post. Longmans, Green, and Co., London, published the first edition as an unillustrated triple-decker on 3 December 1888. 3,000 copies issued. This was the last of Haggard’s novels issued in three volumes, as this format had become less popular. Longmans issued CQ in one volume, also unillustrated, on 1 March 1889. In 1889 Tauchnitz of Leipzig published a copyright edition. The 1890 Longmans Silver Edition featured a frontispiece by C. Whymper. John W. Lovell, New York, published the first US edition in 1888. 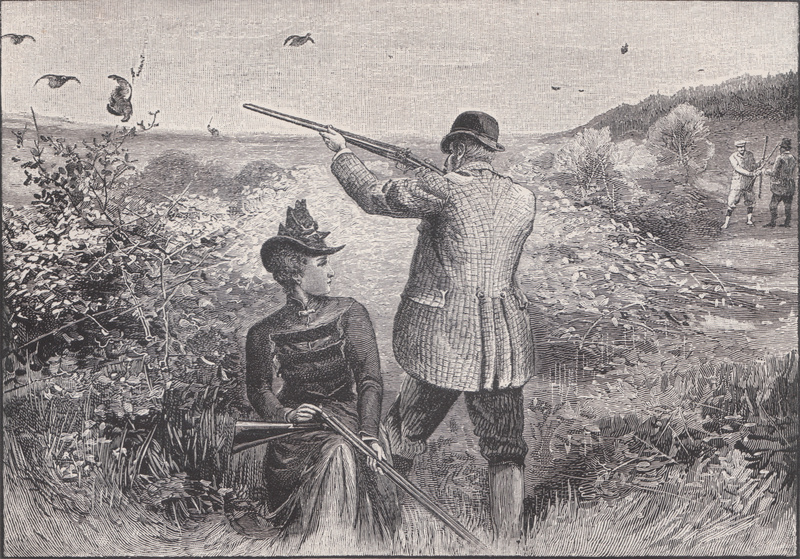 The 1889, New York, Harper & Brothers edition featured four illustrations by an unknown artist. The P. F. Collier & Son Authorized Edition reprints an illustration from the Harper & Brothers edition. In c. 1905 George Newnes, London, published an edition with eight illustrations by Cyrus Cuneo. Pocock, Tom. Rider Haggard and the Lost Empire. London: Weidenfeld and Nicolson, 1993. 69, 76. Whatmore, D.E.. H Rider Haggard: A Bibliography. Westport, CT: Meckler Publishing Co., 1987. F9, 16-17. Editions of Colonel Quaritch V. C.
Harper's Weekly, vol. 32, no. 1647. New York: Harper & Brothers, 14 July 1888. 1st Edition Thus. New York: Harper & Brothers, 1889. Silver Edition. London: Longmans, Green and Co., 1890. Harper's Weekly, vol. 32, no. 1648. New York: Harper & Brothers, 21 July 1888. Harper's Weekly, vol. 32, no. 1649. New York: Harper & Brothers, 28 July 1888. Harper's Weekly, vol. 32, no. 1646 . New York: Harper & Brothers, 7 July 1888. 1st Edition Thus. London: George Newnes, c. 1905. Illustrations from Colonel Quaritch V. C.